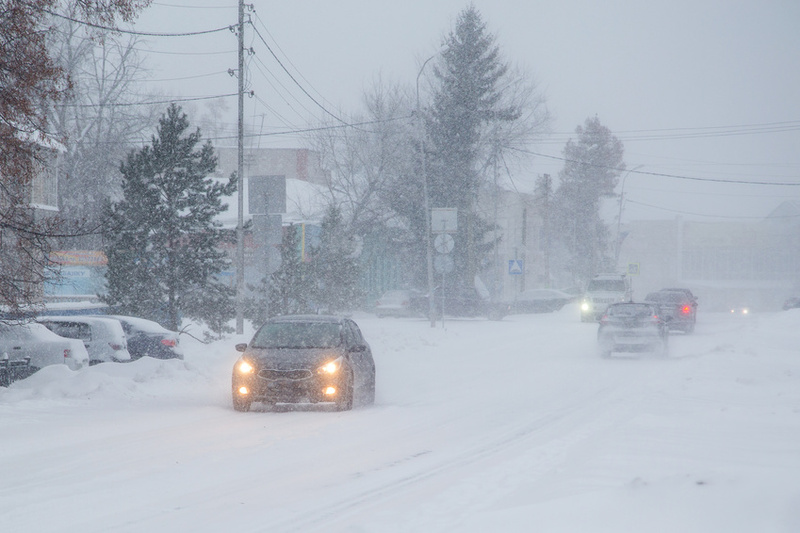 Driving during the coldest seasons of the year can be incredibly stressful, especially after some heavy snowfall. If you’re not careful, ice and snow can leave you and your car stranded on your way to stock up on groceries or heading to visit family. Use these tips to make sure that you, your family, and your car are all safe on the road this winter. Heavyweight champs: Make sure that whatever you’re driving is up to the task of winter road conditions. Generally speaking, heavier vehicles like pickup trucks have an easier time on slippery roads, which might explain why they’ve become so popular in recent years. Nearly 60% of lighter vehicles on the road right now are classified as trucks. In good repair: Before the weather gets too cold, take your car in for a tune up. You want all parts in your car to be in working order, and having your car serviced can ensure none have been recalled or are in need of fixing. Dealerships can also help with this; dealerships across the United States wrote over 316 million repair orders in 2017. Top-notch tires: The key to making sure you avoid getting stuck when the snow hits is your tires. Snow tires can keep you from spinning out when the snow starts to pile up, even if your car is only front-wheel drive instead of all-wheel drive. Stay prepared: Before you go anywhere, have a set of emergency supplies ready to go in your trunk or passenger seat. This is especially important for longer trips or trips where you’ll be away from major cities for a while. Hopefully, you’ll never need to use this, but it’s better to have it and not use it than to need it and not have it. Include non-perishable food, a first aid kit, blankets, and other essentials. Play it safe: When it comes to winter driving, use your common sense. If it seems unsafe to drive due to the weather conditions, maybe skip that drive. Don’t be afraid to cancel plans as necessary. If it’s not safe to drive, it’s best to stay home rather than to risk the trip out. Stock up before major snowstorms to avoid having to drive when it isn’t safe to do so. Driving during the winter can be dangerous, but if you do have to hit the road, make sure you use these tips to keep you and your family safe. Are you ready to get where you need to go when snow gets in the way?